It’s a fact of life: numerous people have set ideas on how others should act, think, speak, and look. Another detail is that few of us can measure up to every single expectation put on us by religious organizations, schools, groups, and cultures. Most of us try to live in a socially conscious manner. However, some people may fall short. Anyone can be blocked by physical or mental limitations. We may have chronic challenges; or, we may be going through temporary trauma. When all’s said and done, most of us don’t measure up to “perfection”. Was a more profound life truth ever written?! Let’s face it: all of us are imperfect; therefore, we all deserve punishment. Humanity generally falls short of the “ideal”. In fact, few people can agree on the definition of “ideal”. It can vary from group to group, or culture to culture. Given that fact, how can we all get along? The world is becoming more diverse and complicated daily. As a result, we’re bombarded with constant examples of people who don’t want to interact in a healthy manner with others. They prefer to judge and condemn. The rest of us will find there’s only way to ensure healthy relationships of any kind: give and receive grace (aka undeserved favor) where possible. What does “undeserved favor” mean? Loosely translated, it signifies compassion (or mercy) that isn’t earned. For example, if my kids disrespect me or annoy me, I may not feel that they deserve kindness in return. Yet, since I’m their mom, I will try to react to their uncomplimentary behavior with compassion. I will remind myself that they are tired, sick, or hungry. The practical application of grace is that we allow people their harmless quirks, temper tantrums, and limitations of any kind. “It is what it is,” as we often hear today. In other words, there’s not much we can do about certain situations; so, we should just accept them. Please note that I’m not advocating the acceptance of attitudes that may be harmful, dangerous, or openly disrespectful. What I’m referring to is petty annoyances. About 25 parents of teenagers were gathered in a room, seated in a circle of chairs. We were told to write our names at the top of a blank sheet of paper. Next, we would pass the paper to the person on our right. Then, the paper would get passed to every person in the circle until it was returned back to us. Each individual was asked to write a compliment on the paper as they received it. In this manner, every person in the room received 25 positive written affirmations. We all deserve a “whipping” because we’re all imperfect. Wouldn’t the world be a kinder, gentler place if we tried to find even a few positives in the middle of what appears to be a sea of negatives? 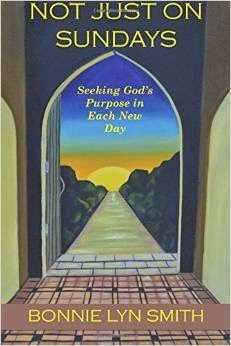 I highly recommend this 5-star Christian book: Not Just on Sundays,by Bonnie Lyn Smith. It uses scriptures and personal examples to demonstrate how we can show ourselves, and others, grace. When was grace last shown to you? I was involved in adult education classes and began each session by requiring the class members to tell the class something good that had happened to them since the previous class meeting. Some of them found it difficult, but after several weeks, most were eager to share. Grace is everywhere if we just relax and receive it. Hi, FC: Thanks for your comments!! It is often good to come up with positive comments, especially if we have a certain kind of personality. I have had to train myself for decades to be more positive. It does get easier with time. Traci, this is so kind of you to spotlight "Not Just on Sundays" on your blog. 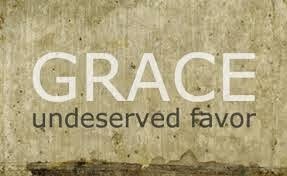 I love what you wrote here about grace and unmerited/undeserved favor. After reading your amazing book, I felt like we had so much in common as we try to establish healthier boundaries for ourselves and with others. Grace is such an important part of that, as you state here. Keep writing! I'm glad to share these goals with you. It really encourages and inspires me. I loved reading what they wrote about you on that compliment sheet. So awesome! Hi, Bonnie. I am absolutely more than happy to spotlight your wonderful book.We are soul sisters because we have an absolutely amazing amount in common. I could tell you story after story of why I relate to you and your book; my book only touches the surface. (Naturally, your book only touches the surface, too.) I can tell that you and I are on the same wavelength; that's why we're soul sisters. Hello Traci, your blog postings always give me something to think about. 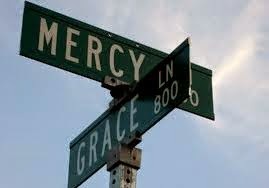 “Grace” is an interesting word that means different things to different people. To me, giving out grace means to give out acts of loving kindness to others – without discrimination and judgment, regardless of their behaviour. Acts of loving kindness can also be pure forgiveness. Forgiveness without any strings attached. A big ask and something I fall well short of doing, despite best intents. Yes, as we see ourselves and others, we seem to be imperfect. But not in God’s eyes. He sees us beyond our perceived imperfections. He sees us as His holy Children, misguided no doubt, but undeserving of punishment for the wrong choices and mistakes we make. God only loves us, He does not punish us, knowing that we all have the capacity to learn from our mistakes and correct them if we so choose. Paradoxically, I believe we are the ones who think we deserve punishment for our “sins” and then, through the negative power in our minds (the saboteur, or ego) ensure we suffer guilt as a result. In effect, we punish ourselves. “Undeserved favor” can be likened to acts of loving kindness and forgiveness, except the way I see it, all Children of God, regardless of their behavior and mistakes, deserve these gifts of unconditional love. The good news is that what we give out comes back to us and, as a result of giving out good, it comes back to us, diminishes our own guilt and brings peace to our conflicted minds. HI, Don. I thank you for sharing your unbelievable wisdom! We are the ones that punish ourselves, through our egos. God isn't up there making checkmarks when we're "bad". Do we do that as earthly parents? God loves us unconditionally, and we are supposed to do the same for ourselves and others. However, that's an extremely tall order! Hi, Suzie! I thank you for sharing! I cannot tell you how much I relate to your comments. Personally, I think it's much more difficult to give grace to those closest to us than others. Random compliments is always easier than allowing ourselves and others the freedom to live within our limitations.